The following are a selection of testimonials from clients and candidates with whom we have worked. Many of our clients prefer for their identities to remain confidential but please ask if you would like to find out more about the companies we work with, or if you would like to speak to a selection of our current clients. Interfacio helped us to hire a Trade Marketing Manager for the Nordic region.While other classic recruitment tools failed, Isabelle understood the requested profile, guided us through the selection process, picked up the best candidates and helped us to hire the perfect people in a short period of time. Interfacio knows the Pro Audio Market specificities and listen to their customers to guarantee success! I’ve had the pleasure of working with Isabelle on two candidate searches over the past few years. Isabelle is friendly, easy to work with, organized and professional. She listens well and quickly understands the job profile. During the recruiting and interviewing process, she provides regular updates and takes the time to understand the feedback, never pushing an agenda but instead focusing on the feedback so she can ensure a quality match. At the same time, Isabelle communicates what’s feasible and what she can and cannot do so that expectations are realistic and no time is wasted. Administratively, Isabelle and her team make it easy to do business. Paperwork is simple, well explained and if there’s ever a question, the team is quick to offer answers. I think it’s fantastic that Interfacio is there to serve the professionals in our related audio industries. For decades there was nowhere for these specialists in our field to bring their skill sets, nor were those industries well understood. You and your team are doing a great service. Interfacio is our ‘go to’ search and selection partner for many markets in EMEA. Isabelle and Richard’s broad industry network, combined with their understanding of what a successful d&b candidate ‘looks like’ is second to none. Bienheureux seront les autres candidats qui auront la chance d’être suivi dans leurs démarches par une professionnelle aussi compétente et sympathique que vous. Merci à nouveau pour votre excellent suivi de “dossier” et pour votre soutien inconditionnel. J’ai beaucoup apprécié la collaboration fructueuse avec Interfacio: le professionnalisme dont Isabelle a fait preuve pour comprendre les enjeux de nos recrutements et proposer des profils pertinents nous a donné entière satisfaction. I had the chance to work with Isabelle looking for specific profiles for MI business. I can say she is very professional, listening carefully to her client’s needs and concerns. She has a strong knowledge of our industry, a large profiles files, is really open minded and efficiency focused. I highly recommend her. 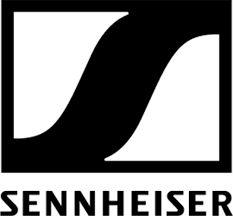 Sennheiser UK have worked with Interfacio on a number of occasions over recent years with great results and I have worked recently with Isabelle and Interfacio to fill a very specific and important commercial role. They really got the brief completely and even helped me refine it – They understood my requirements with the in-depth knowledge that only a specialist recruitment consultancy for our industry could. Thank you Isabelle and Interfacio – this was a very well managed process and again we achieved a great result for all concerned. Travailler avec Interfacio a été une expérience très enrichissante, et comme souvent, cela commence par une rencontre et le sentiment d’être compris dans ce que l’on recherche. Une très bonne connaissance de notre marché, une volonté de connaitre l’entreprise et ses spécificités pour trouver LE bon collaborateur, un échange régulier pour construire ensemble le projet de recrutement, au final, tout était réuni pour se sentir accompagné dans notre développement. Pourtant la tâche a été rude, et j’ai pu découvrir l’extrême ténacité d’Isabelle qui n’a jamais baissé les bras. Encore Merci pour votre efficacité, votre professionnalisme et votre implication. J’ai été ravie de travailler avec Interfacio, très à l’écoute des besoins, s’adaptant aux évolutions de la demande ils trouvent le candidat qui répondra le mieux à vos attentes et rempliera tous vos critères. Au-delà de la présentation du candidat c’est aussi du conseil pour réaliser un entretien constructif et efficace. Il est évident que nous retravaillerons ensemble sur de prochains recrutements. Interfacio ist bemerkenswert gut vernetzt in unserer Industrie der professionellen Audioelektronik. Dabei absolut diskret zu arbeiten ist für Interfacio ein Selbstverständnis. Ausschlaggebend für das Vertrauen, welches wir in Interfacio investieren ist ein exzellentes Gespür für Persönlichkeiten und deren “fit” in Unternehmenskulturen, respektive Teamstrukturen. Throughout the very difficult process of trying find new staff to fit in the company, I always felt that the team at Interfacio understood our business and what we were looking for. I have no hesitation in working with Interfacio in the future because they do seem to care about their customers’ needs very highly. We have been using Interfacio for a number of years now and even though we are well-connected within the AV industry, they can often find us candidates that we either didn’t know or didn’t realize were available. We’ve hired several people through Interfacio and have been very satisfied both with Interfacio and with our hires. Dealing with Interfacio is always easy they respond quickly and always conduct business in a very professional and ethical manner. Merci beaucoup pour votre travail de qualité. J’espère que nous aurons bientôt l’occasion de retravailler ensemble. Our company has been working very closely with Interfacio in the past, and will continue to do so in the future. Their recruitment services are offered on a professional, very personalised level, giving the necessary attention to our specific needs. The quality of personnel provided through Interfacio is very high, and, as we all know, the competence and commitment of employees constitute the foundation for every company’s success. Sans vanter vos mérites, j’ai été ravi d’avoir notre entretien et c’est bien la première fois que ce genre de rdv me laisse une si excellente impression alors longue vie à InterFacio. Interfacio first helped NEXO with an executive appointment more than 10 years ago, and it is still our go-to agency for high-level sales and management recruitment. Search and selection is always closely matched to our brief, and their network of candidates is impressively international. Yoshi Tsugawa, CEO, Paris, France, NEXO S.A.
Wir, die Audio-Technica Ltd. Niederlassung Deutschland als schnell wachsendes Vertriebsunternehmen brauchen in unserem Umfeld viele zuverlässige Partner. Die Firma Interfacio Ltd. ist seit 2009 für uns als H&R Agentur mit der Akquise und Selektion neuer Mitarbeiter beauftragt. Zu jedem Zeitpunkt dieser langjährigen erfolgreichen Zusammenarbeit, konnten wir uns voll und ganz auf die Kompetenz und Zuverlässigkeit von Interfacio ltd. verlassen. Besonders hervorzuheben ist die europaweite und kreative Umsetzung unserer Stellenbesetzung für einen Produktmanager im Produktbereich Lautsprecher, die im Jahr 2011 ein voller Erfolg wurde. Dies ist hauptsächlich dem Engagement von Interfacio Ltd. zu verdanken. Wir können die Firma in allen Belangen nur weiterempfehlen. People are the foundation of our success and identifying the right people to help build our business is a far deeper process than merely matching skills and experience to a job spec. Interfacio understand our company culture and character and combine this with extensive industry knowledge to deliver well matched, high quality candidates. This is what I expect from a specialist recruitment company; that they know their client and candidate and have genuine confidence in proposing them for a role in our company. I’m delighted with candidates placed by Interfacio but most importantly they are delighted to be here too and that’s the best testimonial of all. During my time with JBL, Richard Wear and his team at Interfacio worked successfully with us to fill a number of key sales and technical positions. His wide industry knowledge and the keen understanding of our structure and culture proved invaluable in analyzing our recruitment needs and in focusing the search on the most qualified and motivated candidates. Interfacio has consistently shown its expertise in the Tour Sound, Installed Sound and Broadcast markets in both the US and Europe and I regard the scope of its international reach to be unique in our industry. Interfacio has filled positions in the US at JBL Pro and at our Soundcraft/Studer distribution unit and in Europe at our Harman Pro UK distribution operation for JBL, Crown and AKG. When recruiting I regard Interfacio as not just a key resource but as a partner. Isabelle is simply the best head hunter you could ever deal with. Period. Professional and attentive, I felt I could trust her as a friend from the first time we spoke. And in the end she helped me land my dream job. If you are serious about your career or about finding the best candidate for your company, do yourself a favour – get in touch with her! I worked with Isabelle to find General Managers for our European expansion and to run regional offices based in France & Germany. Recruitment, especially at this level, is never easy but Isabelle managed the process with professionalism and integrity; taking a lot of pain away and saving me a great deal of time. Most importantly, Isabelle was entirely transparent in her dealings with me, and a such built a bond of trust between us that means I have no hesitation in recommending Interfacio. I look forward to working with Isabelle again.